You don’t realize how much you rely on your iOS devices until something goes wrong. That’s why, when your iPhone or iPad is lost, stolen, or damaged, many people panic, wondering if they have access to the data they need. Is it in the cloud? Can you pull it off a damaged hard drive? Do your backups cover everything? When was the last time you backed it up? There are plenty of different ways to prepare for an iOS disaster, each with its own merits. Here are some of the most bankable backup methods – each applicable to Windows and OSX - to ensure the important data on your iPhone or iPad is always at the ready, even in the event of a catastrophe. Apple’s iCloud system backs up your devices wirelessly, sending your data to a secure cloud-based server, making it a go-to solution that merits consideration. Unfortunately, iCloud only provides you with 5GB of free data storage to cover all of your devices. Even casual users will find that this allotment of data storage is used up quickly. [Upgrades range from $20/year (15GB total) to $100/year (55GB total).] You can configure iCloud in the Settings app on your iOS device. Note that to optimize your storage space you can configure what types of files you want to back up individually – Contacts, Calendars, Photos, and so on. While iCloud backups have the advantage of being securely stored at offsite locations, you can also choose to back up files directly to your PC using a standard USB connection. Backing up your device on your PC is considerably faster, and provides you with unlimited data storage. However, you’ll have to remember to physically plug your device into your computer from time to time to keep the backup current with your device’s data. Set up iTunes backups from within iTunes after you’ve registered your device with your desktop. A backup should begin automatically when you plug your device in and iTunes opens. If not, right-click the device in the left pane and select “Back Up” to manually begin one. Apple’s stock backup systems are useful, but they are an all-or-nothing affair. You can’t pick and choose what items you want to restore, so your only option is a complete reboot to your last backup. If you’re simply looking for one deleted text SMS, MMS, iMessage, or voicemail, you may want to pursue other options. Enter Fonelab, a third party software solution that lets you back up and recover nearly everything on your device. The newly-released Fonelab 8 has a streamlined interface, making the process of backing up or restoring your device fast and easy. Just install the software on your Windows PC and connect your iOS device to get started. Fonelab will work with all of the latest devices, including the iPhone 5 and 4th-Gen iPad. 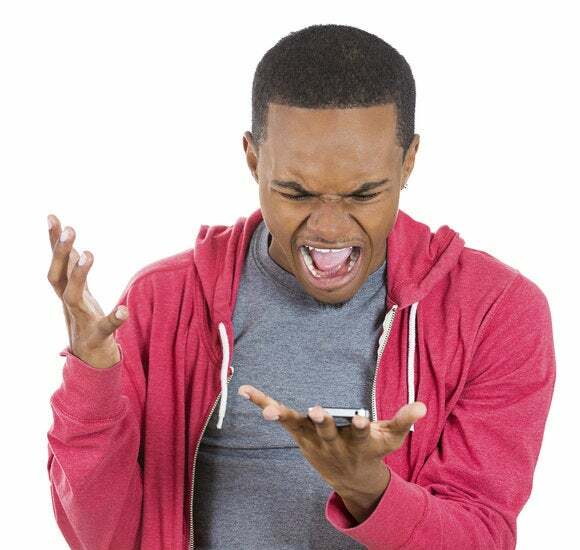 The system will do a deep scan of your connected device for data – even if the screen is smashed or the device isn’t working properly. Once it’s finished, you simply select which items you’d like to copy to your computer. With Fonelab 8’s full-blown backup and recovery capabilities, you can dig deep into your device’s data and even preview SMS threads to choose specific messages for retrieval. 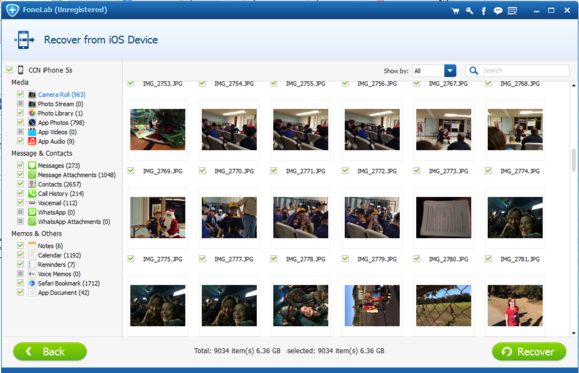 You can also scan through thumbnails of all of your device’s photos and choose which ones you’d like to recover. Unlike iCloud or iTunes, Fonelab 8 also allows you to recover some third-party app data, like messages sent and received through the WhatsApp Messenger. Once you’ve identified the items you want to save, just click Recover to complete the process. 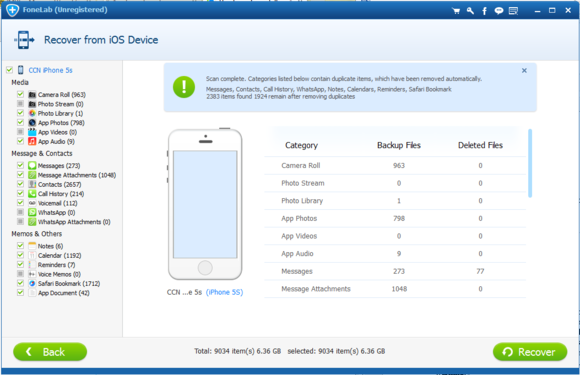 Don’t rely on iTunes or Apple’s expensive iCloud service to back up or restore your device. Fonelab’s straightforward software gives you total control of the backup and recovery process, ensuring that you always have access to the data you need. Get started today: Aiseesoft is offering a special limited time discount for PCWorld readers. This story, "Bankable Backup and Recovery options for Your iPhone or iPad" was originally published by BrandPost.